Ever since the gaming industry has existed, the name “Nintendo” has been a fundamental part of the entire movement from the get-go. From the wild popularity of the Nintendo Entertainment System (NES) back in the 80’s to the high-flying action brought about by the revolutionary Nintendo Wii, the Japanese video game company has a special place in the hearts of nostalgic gamers. After creating an entire category of portable gaming systems with the Game Boy series of handheld consoles, the company has kicked back with the Nintendo Switch. Offering remastered and redesigned versions of the age-old classics such as The Legend of Zelda and Super Mario, Nintendo Switch is more than what the Game Boy ever was, since it is a true hybrid console that has handheld capabilities along with the ability to turn into a full-fledged console. Like most gadgets these days, the Nintendo Switch is a fine piece of technology that comes with more features than what meet the eye. From the basic ability of turning your handheld gaming device into a console for the big screen, to expanding the storage capacity and using it as a media device, there’s a lot you can do with the Nintendo Switch. We’ve boiled down all of the latest and greatest features of this hybrid console, bringing you the coolest Nintendo Switch tips and tricks to try out. 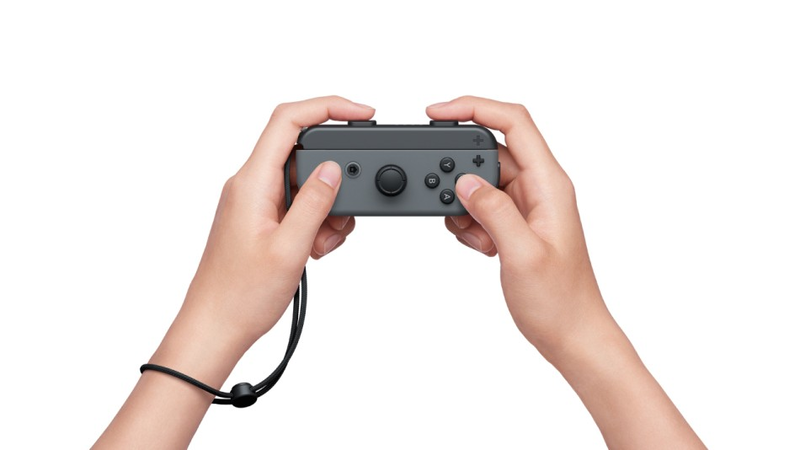 The unique and tactile buttons on both the sides of the Nintendo Switch are essentially two removable gamepad controllers called Joy-Cons. However, the detachable aspect of the Joy-Cons makes them susceptible to being lost easily, but Nintendo has thought of this problem and offered a solution to it. All you need to do is head over to the Controllers button on the home screen of the Nintendo Switch, tap on Find Controllers and use the menu to make either of your paired Joy-Con or wireless controller vibrate and just move around the house feel and find the vibrating gamepad around. Although there are only a handful of games like Fortnite Battle Royale that offer in-console chat feature on the Nintendo Switch, there is a way around it. 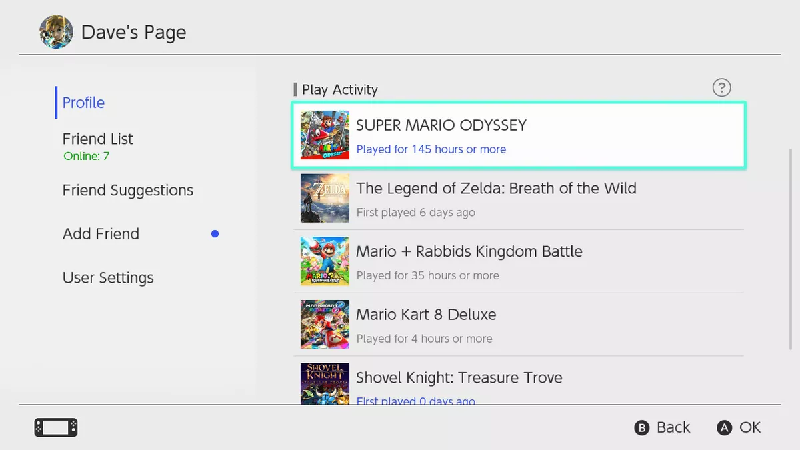 In order to voice chat or text with the people you’ve added as your Friends on your gaming console, you’ll need the Nintendo Switch Online mobile app. 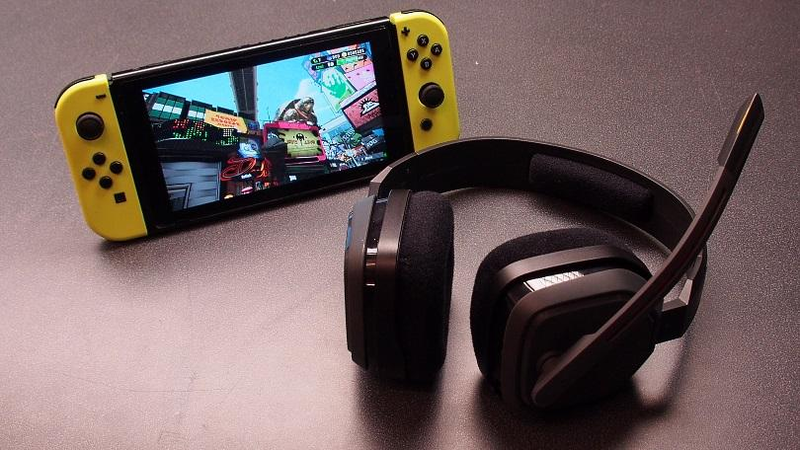 While it may not be as convenient as having the ability to chat in-game, you can grab a Bluetooth headset that can be connected to two devices simultaneously and enjoy a phenomenal social gaming experience. Back in the day of the NES and Game Boy, there were certain games that were limited to the Japanese region, and you needed a Japan-specific console to play them. 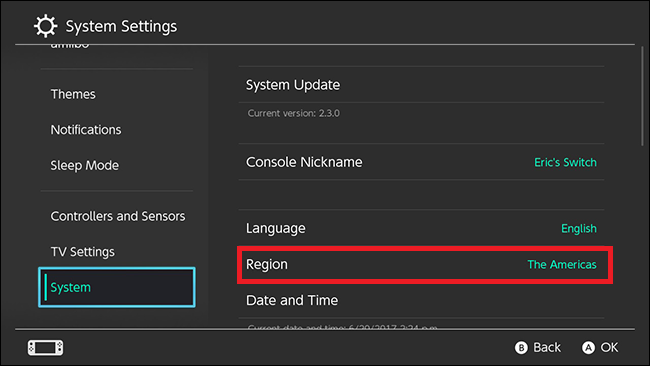 However, with the Nintendo Switch, you can simply change the regional settings by heading over to Settings – System – Region and bypass all restrictions. While most games these days are released globally, some markets tend to receive it earlier, so this is a great way to cut the que and get your hands on the game right away. You’re either a showboat who likes to brag about their hundreds of hours of gameplay, or someone who prefers to stay under the radar. For the latter, Nintendo Switch comes with the ability to hide the gameplay activity and even mask your online status, giving you some much-needed gaming privacy. Just head over to Settings – Friends Settings and there you can choose to not only select which users can see you online status, but also your play activity. Thanks to the power of IR that is alive and well with the Nintendo Switch, it doubles up as a remote control for your TV. 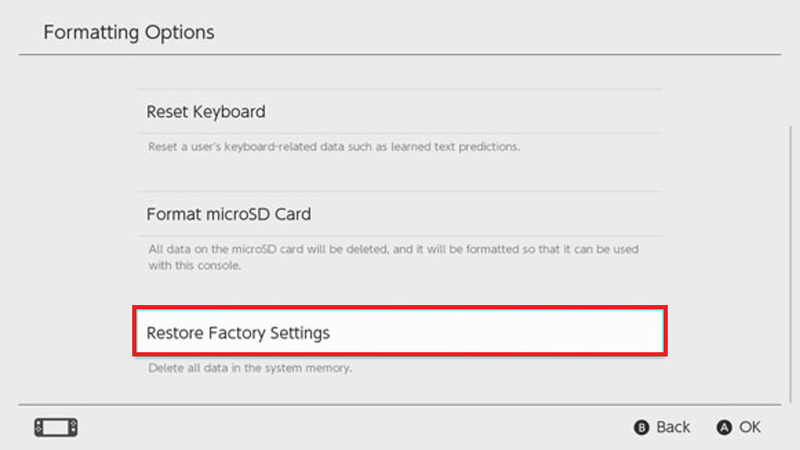 Whether you want to turn on your TV set or switch the input channel to view the Nintendo Switch display, you can do it from the console itself by simply pressing the Home button on your Joy-Con. 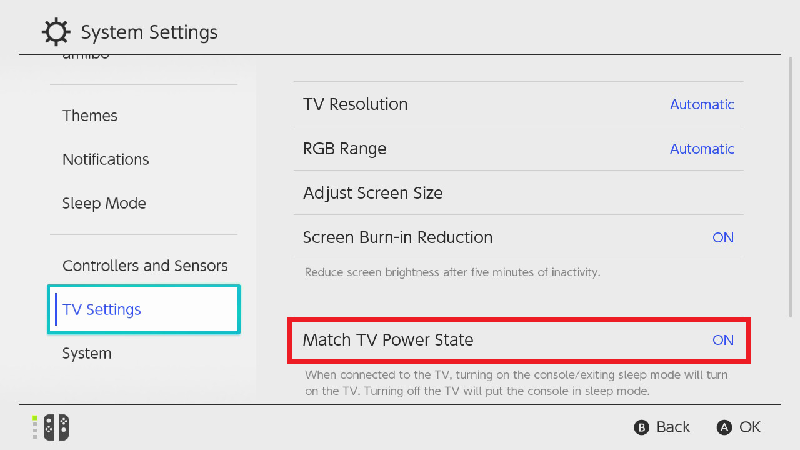 Make sure that the feature is turned on in the Settings – TV Settings – Match TV Power Slate and you won’t have to reach out for the TV remote every time you want to play on the big screen. Whether you’re moving over to a brand new Nintendo Switch or simply want to make sure that your progress in The Legend of Zelda: Breath of the Wild is safe and secure, there’s a way to do it. 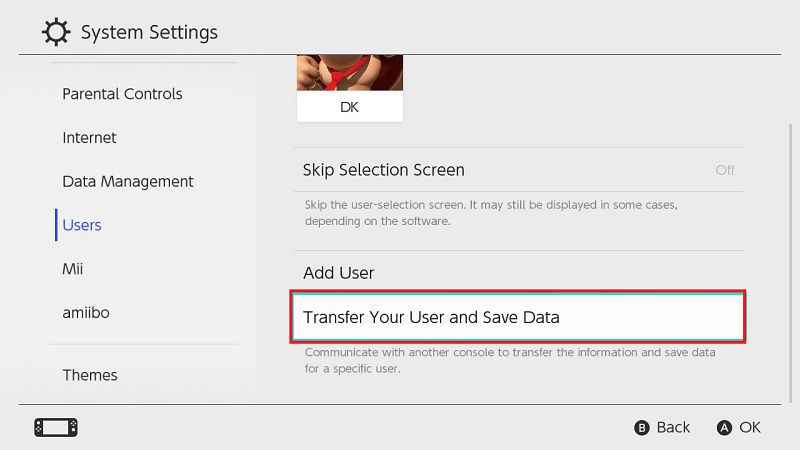 All you need to do to move your User and Save Data to another Switch device is open the Settings – Users – Transfer and then select the target device you wish to move to. Before you begin, make sure that both the Nintendo Switch devices are connected to the same Wi-Fi network. 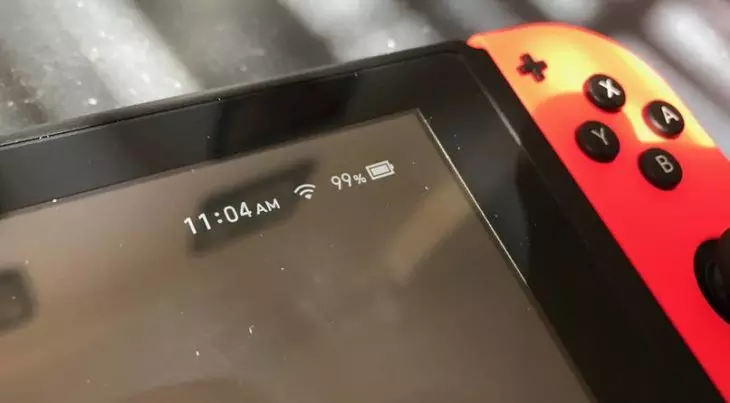 Despite the rather large battery capacity, the Nintendo Switch does not last any more than 6 hours on a full charge under regular circumstances. This is why you need to monitor the battery level every now and then to make sure that the console does not die on your mid-game, causing you to lose saved progress data. You can view the battery percentage on any screen by holding down the Home button, or head over to Settings – System – Console Battery and have the exact battery level show up in the upper right corner of the screen when you press down ZL + ZR together. While the hybrid gaming console is designed to be quite stable in the way it operates, the Nintendo Switch is after all a piece of technology, which makes it susceptible to hanging or freezing every now and then. You can start off by rebooting the device by pressing down the Power button for 10-15 seconds until it reboots. However, if the problem continues to persist, head to the Maintenance Mode by pressing down the Volume buttons while the device reboots and factory reset the console. While 32GB of internal storage may have been wholesome in the old days, with a console like Nintendo Switch that can do so much more than just play games, it simply isn’t enough. 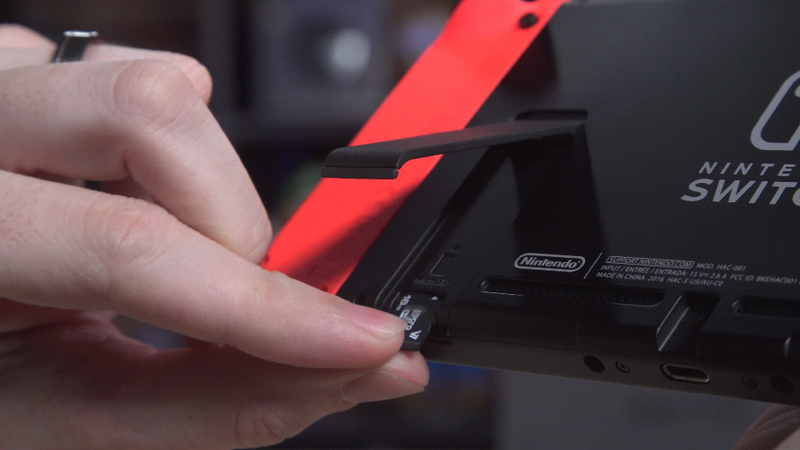 Fortunately, the handheld console comes with an expandable MicroSD storage slot right behind the kickstand. With the standard SDXC storage that supports a capacity of up to 2TB, you will have plenty of space for your games and multimedia content as well. While Xbox and PlayStation have competed to be the “real” gaming consoles, Nintendo had taken the backseat with the Wii. However, the Nintendo Switch is pushing the limits of handheld/console gaming, and the Pro Controller is just the accessory that will give traditional consoles a run for their money. 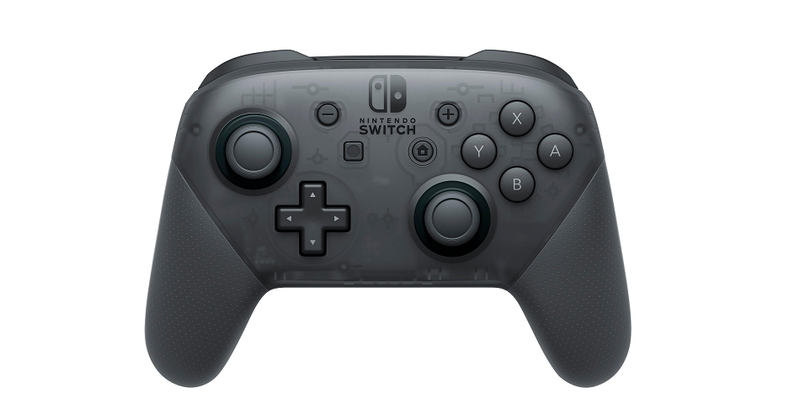 Not only is it more tactile compared to the Joy-Cons, but the ability to enjoy a laidback gaming experience on the big screen is what makes the Pro Controller worth the extra bucks. As the gaming industry progresses further into becoming a billion-dollar phenomenon, legacy brands such as Nintendo will keep pushing harder. With the Nintendo Switch, the company has opened up the handheld gaming genre once again, allowing users to enjoy a surreal gaming experience not just on the big screen, but on the go as well. 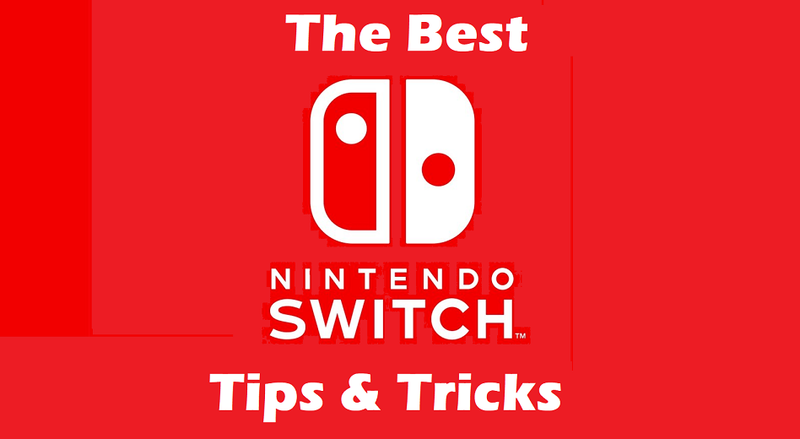 Which of these awesome Nintendo Switch tips and tricks are your absolute favorites? If you’ve got a special feature of the hybrid gaming console to mention, be sure to drop it in the comments section right down below.